Hotel Satya Palace is located at the Main Ramphal Chowk Road in Sector 7, Dwarka in the capital city. The tourists have a plenty of tourist attractions to explore like Jantar Mantar, Red Fort, Mumtaz Mahal, India Gate, Ugrasen ki baoli and Sikandar Lodi Tomb. All the rooms are equipped with modern amenities like AC, TV, geyser, seating area, wardrobe and an attached bathroom. The guests can also enjoy the free Wi-Fi and laundry service. 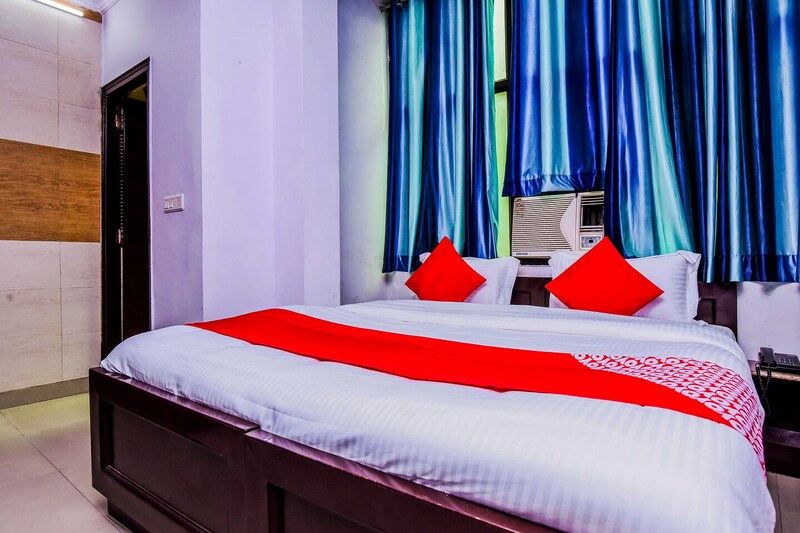 The hotel has its proximity to the Metro line and a wide number of restaurants nearby including Gills Kitchen, FEED IT, Singh Sahib, and so more.